On Nov. 11, 2008, a little over 10 years ago, now-world renowned country and pop superstar Taylor Swift released her sophomore studio album “Fearless.” At the time, Taylor Swift was fairly well known in the country industry, but not necessarily an icon. However, “Fearless” changed everything. It was critically lauded upon release, winning album of the year recognitions at not only the Country Music Association Awards and the Academy of Country Music Awards, but also the cross-genre American Music Awards and Grammy Awards. These recognitions have made it the most awarded album in the history of country music and made Swift the youngest Album of the Year winner. This wide critical approval was met with equal commercial success. It has attained a diamond certification from the Recording Industry Association of America, indicating sales in the US of over 10 million units, and is recognized as the fourth biggest album of all time and the second biggest album by a female artist, per Billboard. The album also spawned the two genre-crossing smash hits that put Taylor Swift on the map: “Love Story” and “You Belong with Me,” both of which attained their own critical and commercial success separate from the album. Regardless of this massive success, does “Fearless” stand the test of time? To answer the question bluntly: yes. “Fearless” is a masterful blending of country and a pop that manages to keep the musical integrity of each genre, without necessarily being off-putting to fans of either, which is certainly a tall task. Each song is layered with wonderfully story-like lyrics, which is even more impressive when considering that Swift wrote over half the album by herself, with only one song sporting more than one other writer besides herself. It is a testament to not just her own performing power, but songwriting as well. The album’s most iconic songs are inarguably its duo of hits: “Love Story” and “You Belong with Me.” “Love Story” is a flip on the traditional “Romeo and Juliet” story that has a happy ending this time around. It is not just a very well-written and executed song, but just a pure jolt of happiness from start to finish. “You Belong with Me” has a similar jolt of happiness, this time paired with incredibly nostalgic childhood imagery that is bound to make even the most cynical person think back to their middle school days. While these two are far and away the most widely recognized songs on the album, they are far from the only good songs here. In fact, there is hardly a bad song to be found. “Fifteen” employs a similar nostalgic lyrical twinge as “You Belong with Me,” but in a sadder context. “Change” is an inspirational anthem for looking beyond the bad into the future’s potential better times. “The Best Day” is dedicated to Swift’s mom and the wonderful childhood Swift had with her. The rest of the album runs around similar themes of love, loss and going forward, to consistently high results. The lyrics are vividly detailed, deep and just overall wonderful. Lyrics are wonderful and all, but they are far from the only important thing on an album. A poor delivery of wonderful lyrics can ruin a potentially amazing song. Thankfully, that is not the case here. Swift switches effortlessly between fully country and acoustic deeper cuts and the more pop-driven singles, with a constantly enticing delivery. 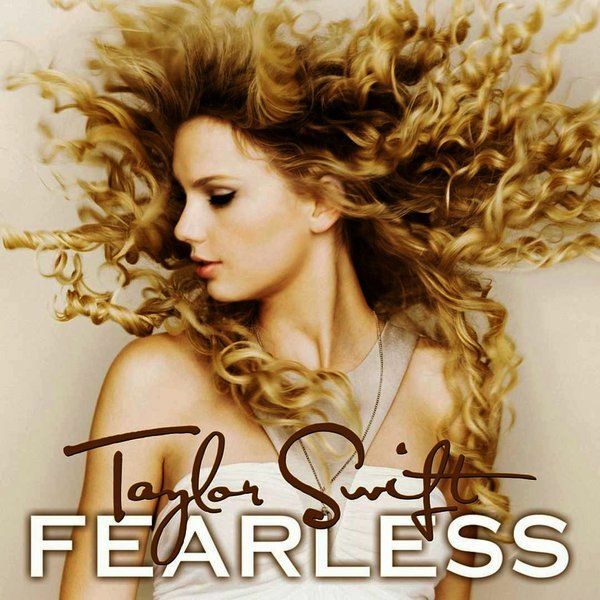 “Fearless” was the launchpad into the rest of Taylor Swift’s major music career. She followed it up with the entirely self-written “Speak Now,” her first foray into pop “Red,” the award winning and record smashing “1989” and the more experimental and edgy “Reputation.” While all of those albums and eras succeeded on their own merits, none of it would have been likely to happen if not for the massive success she experienced with “Fearless.” It made her career into what it is today and did so while being one of her strongest works.